THIS 2015 CHEVY SONIC LTZ IS EQUIPPED WITH FULL FACTORY POWER EQUIPMENT !! HEATED LEATHER SEATS !! LTZ WHEELS !! ACCIDENT FREE CARFAX ! !GM Certified Pre-Owned means you not only get the reassurance of a 12mo/12,000-Mile Bumper-to-Bumper limited warranty, but also a 1YR/12,000-Mile Standard CPO Maintenance Plan, up to a 6-Year/100,000-Mile, $0 Deductible, Fully Transferable, Powertrain Limited Warranty, a 172-point inspection/reconditioning, 24/7 roadside assistance, Courtesy Transportation, 3-Day/150-Mile Customer Satisfaction Guarantee, 3 month trial OnStar Directions & Connections Service if available, SiriusXM Radio 3mo trial if available, and a Carfax vehicle history report. Again, we offer rock bottom prices and a hassle free shopping experience.Feel free to contact Chris Lewin, our Used Vehicle Manager, if you have any questions. His email is clewin@haggertyautogroup.com or call Chris at (888)277-3151. For Value and Integrity....It Has to be HAGGERTY !!! OUR PRICING PHILOSOPHY: We offer rock bottom prices in a hassle free shopping environment. * We shop EVERY vehicle we take in out OVER 100 square miles against vehicles with comparable equipment and miles to ensure you the most value for your hard earned money. Every vehicle goes through a 120 point inspection to ensure you are purchasing a safe vehicle and we can't put the warranty on without making it right! We will even show you our report as well as what we did to the vehicle to make it right for you! How many other dealers will show you that?! We enroll you in our owner rewards program which gives you a free oil change plus a flexible spending account for your vehicles! We put money into your account every time you service with us! 5% of your service bill gets put into this account for your use on ANY car in your household! * *WHY SHOULD YOU HURRY**:* We aggressively price and market all our vehicles on 20 different websites to sell FAST and we sell 90% of our inventory EVERY month. We do NOT hold cars so if something interests you that we have, then the sooner you can make it in the better chance you have of getting it! Feel free to contact our friendly sales staff at (888)301-8863 or email our used car manager, Chris Lewin at clewin@haggertyautogroup.com For Value and Integrity....It Has to be HAGGERTY !!! KBB.com 10 Best New Road Trip Vehicles. Only 86,072 Miles! Scores 31 Highway MPG and 19 City MPG! This Ford Mustang boasts a Gas V6 3.7L/227 engine powering this Automatic transmission. Variable intermittent wipers (2010), Tire pressure monitoring system, Tire mobility kit. * This Ford Mustang Features the Following Options *Stainless steel dual exhaust, SOS Post Crash Alert System *Activates hazard lights & sounds horn upon airbag deployment*, Solid-axle 3-link rear suspension w/Panhard rod (2010), SecuriLock passive anti-theft system (PATS), Seat-mounted side-impact airbags for driver & front passenger w/head extensions, Remote Keyless Entry, Rear window defroster, Rear wheel drive, Rear quarter-mounted antenna, Rear 50/50 split fold-down seat. * This Ford Mustang is a Superstar! *KBB.com 10 Best New Road Trip Vehicles, KBB.com Brand Image Awards. 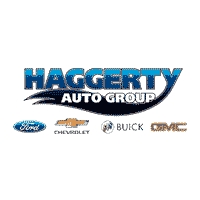 * Stop By Today *Stop by Haggerty Ford located at 330 E Roosevelt Rd, West Chicago, IL 60185 for a quick visit and a great vehicle! THIS 2013 CHEVROLET EQUINOX LS AWD IS EQUIPPED WITH FULL FACTORY POWER EQUIPMENT !! ALLOY WHEELS !! ALL WHEEL DRIVE !! 1 OWNER CARFAX ! !OUR PRICING PHILOSOPHY: We offer rock bottom prices in a hassle free shopping environment. * We shop EVERY vehicle we take in out OVER 100 square miles against vehicles with comparable equipment and miles to ensure you the most value for your hard earned money. Every vehicle goes through a 120 point inspection to ensure you are purchasing a safe vehicle and we can't put the warranty on without making it right! We will even show you our report as well as what we did to the vehicle to make it right for you! How many other dealers will show you that?! We enroll you in our owner rewards program which gives you a free oil change plus a flexible spending account for your vehicles! We put money into your account every time you service with us! 5% of your service bill gets put into this account for your use on ANY car in your household! * *WHY SHOULD YOU HURRY**:* We aggressively price and market all our vehicles on 20 different websites to sell FAST and we sell 90% of our inventory EVERY month. We do NOT hold cars so if something interests you that we have, then the sooner you can make it in the better chance you have of getting it! Feel free to contact our friendly sales staff at (888)301-8863 or email our used car manager, Chris Lewin at clewin@haggertyautogroup.com For Value and Integrity....It Has to be HAGGERTY !!! Only 94,764 Miles! Delivers 23 Highway MPG and 16 City MPG! Carfax One-Owner Vehicle. This GMC Acadia delivers a Gas V6 3.6L/220 engine powering this Automatic transmission. XM NAVTRAFFIC enhances your vehicle's GPS navigation system by showing real-time traffic data when it's needed most - while you're driving. Available in over 80 markets, XM NavTraffic displays construction, road closures and accidents so you can get to your destination faster. Available in select models, TRANSMISSION, 6-SPEED AUTOMATIC, ELECTRONICALLY CONTROLLED with overdrive (STD), SUNROOF, DUAL SKYSCAPE 2-PANEL POWER WITH TILT-SLIDING FRONT AND FIXED REAR with sunscreen. *This GMC Acadia Features the Following Options *SLT-2 PREFERRD EQUIPMENT GROUP Includes Standard Equipment, SEATING, 7-PASSENGER (2-2-3 SEATING CONFIGURATION) (STD) (Includes 2nd row flat-folding Captains Chair. May be substituted with (ABC) 8-passenger seating. ), RECLINING FRONT BUCKETS (STD), REAR SEAT ENTERTAINMENT SYSTEM, POWER OUTLET, 3-PRONG HOUSEHOLD-STYLE, 115-VOLT, LICENSE PLATE BRACKET, FRONT, ENGINE, 3.6L SIDI V6 (288 hp [214.7 kW] @ 6300 rpm, 270 lb-ft of torque [364.5 N-m] @ 3400 rpm) (STD), EBONY, SEAT TRIM, PERFORATED LEATHER-APPOINTED ON FIRST AND SECOND ROWS, CARBON BLACK METALLIC, AUDIO SYSTEM WITH REAR SEAT ENTERTAINMENT AND NAVIGATION, AM/FM STEREO Advanced Bose 10-speaker 5.1 Surround Sound DVD entertainment and navigation with backup camera, seek-and-scan, digital clock, auto-tone control, Radio Data System (RDS), speed-compensated volume, auxiliary input jack, USB port-receptacle and (UBS) XM NavTraffic. *The Experts' Verdict...*As reported by KBB.com: If you need lots of room to haul people and cargo but hate the look of a minivan, you'll like the 2010 GMC Acadia. It combines a large, usable interior and good gas mileage with attractive SUV-like exterior styling. *Stop By Today *Test drive this must-see, must-drive, must-own beauty today at Haggerty Pontiac GMC, 300 W. Roosevelt Rd., Villa Park, IL 60181. THIS 2011 CHEVROLET AVALANCHE 4X4 IS EQUIPPED WITH FULL FACTORY POWER EQUIPMENT !! REMOTE START !! 20 INCH CHROME WHEELS !! 4X4 !! 2 OWNER CARFAX ! !OUR PRICING PHILOSOPHY: We offer rock bottom prices in a hassle free shopping environment. * We shop EVERY vehicle we take in out OVER 100 square miles against vehicles with comparable equipment and miles to ensure you the most value for your hard earned money. Every vehicle goes through a 120 point inspection to ensure you are purchasing a safe vehicle and we can't put the warranty on without making it right! We will even show you our report as well as what we did to the vehicle to make it right for you! How many other dealers will show you that?! We enroll you in our owner rewards program which gives you a free oil change plus a flexible spending account for your vehicles! We put money into your account every time you service with us! 5% of your service bill gets put into this account for your use on ANY car in your household! * *WHY SHOULD YOU HURRY**:* We aggressively price and market all our vehicles on 20 different websites to sell FAST and we sell 90% of our inventory EVERY month. We do NOT hold cars so if something interests you that we have, then the sooner you can make it in the better chance you have of getting it! Feel free to contact our friendly sales staff at (888)301-8863 or email our used car manager, Chris Lewin at clewin@haggertyautogroup.com For Value and Integrity....It Has to be HAGGERTY !!! IIHS Top Safety Pick. Boasts 32 Highway MPG and 22 City MPG! This GMC Terrain delivers a Gas/Ethanol I4 2.4L/145 engine powering this Automatic transmission. WHEELS, 4 - 17 X 7.5 (43.2 CM X 19.1 CM) PAINTED ALUMINUM (STD), TRANSMISSION, 6-SPEED AUTOMATIC (STD), TIRES, P235/60R17 ALL-SEASON, BLACKWALL (STD). *This GMC Terrain Features the Following Options *SLT-1 PREFERRED EQUIPMENT GROUP Includes Standard Equipment, SEATS, FRONT BUCKET (STD), REAR AXLE, 3.23 FINAL DRIVE RATIO, JET BLACK, PERFORATED LEATHER, ENGINE, 2.4L DOHC 4-CYLINDER SIDI (SPARK IGNITION DIRECT INJECTION) with VVT (Variable Valve Timing) (182 hp [135.7 kW] @ 6700 rpm, 172 lb-ft [232.2 N-m] @ 4900 rpm) (STD), E85 FLEXFUEL CAPABLE, CHAMPAGNE SILVER METALLIC, AUDIO SYSTEM, COLOR TOUCH AM/FM/SIRIUSXM STEREO WITH CD PLAYER AND MP3 PLAYBACK includes 7 diagonal color touch-screen display, USB and AUX port and iPod support (STD), Wipers, front intermittent with washers, Wiper, rear intermittent with washer. *Expert Reviews! *As reported by KBB.com: If you're looking for something akin to a Ford Escape or Honda CR-V, but you don't like futuristic styling or 4-cylinder powertrains, the GMC Terrain for 2013 may very well be the answer. Its squared-off edges and flared wheel openings say GMC Truck loud and clear. *Stop By Today *Test drive this must-see, must-drive, must-own beauty today at Haggerty Pontiac GMC, 300 W. Roosevelt Rd., Villa Park, IL 60181. THIS 2017 CHEVROLET SONIC LT IS EQUIPPED WITH FULL FACTORY POWER EQUIPMENT !! ALLOY WHEELS !! BACKUP CAMERA / REMOTE START !! RS PACKAGE !! 1 OWNER CARFAX ! !GM Certified Pre-Owned means you not only get the reassurance of a 12mo/12,000-Mile Bumper-to-Bumper limited warranty, but also a 1yr/12,000-Mile Standard CPO Maintenance Plan, up to a 6-Year/100,000-Mile, $0 Deductible, Fully Transferable, Powertrain Limited Warranty, a 172-point inspection/reconditioning, 24/7 roadside assistance, Courtesy Transportation, 3-Day/150-Mile Customer Satisfaction Guarantee, 3 month trial OnStar Directions & Connections Service if available, SiriusXM Radio 3mo trial if available, and a Carfax vehicle history report. Again, we offer rock bottom prices and a hassle free shopping experience.Feel free to contact Chris Lewin, our Used Vehicle Manager, if you have any questions. His email is clewin@haggertyautogroup.com or call Chris at (888)277-3151. For Value and Integrity....It Has to be HAGGERTY !!! OUR PRICING PHILOSOPHY: We offer rock bottom prices in a hassle free shopping environment. * We shop EVERY vehicle we take in out OVER 100 square miles against vehicles with comparable equipment and miles to ensure you the most value for your hard earned money. Every vehicle goes through a 120 point inspection to ensure you are purchasing a safe vehicle and we can't put the warranty on without making it right! We will even show you our report as well as what we did to the vehicle to make it right for you! How many other dealers will show you that?! We enroll you in our owner rewards program which gives you a free oil change plus a flexible spending account for your vehicles! We put money into your account every time you service with us! 5% of your service bill gets put into this account for your use on ANY car in your household! * *WHY SHOULD YOU HURRY**:* We aggressively price and market all our vehicles on 20 different websites to sell FAST and we sell 90% of our inventory EVERY month. We do NOT hold cars so if something interests you that we have, then the sooner you can make it in the better chance you have of getting it! Feel free to contact our friendly sales staff at (888)301-8863 or email our used car manager, Chris Lewin at clewin@haggertyautogroup.com For Value and Integrity....It Has to be HAGGERTY !!! Boasts 37 Highway MPG and 27 City MPG! This Ford Fiesta boasts a Regular Unleaded I-4 1.6 L/97 engine powering this Automatic transmission. Wheels: 16 Premium Sparkle Silver Painted, Variable intermittent wipers, Trunk Rear Cargo Access. * This Ford Fiesta Features the Following Options *Trip computer, Transmission: PowerShift 6-Spd Auto w/SelectShift, Torsion Beam Rear Suspension w/Coil Springs, Tires: P195/50R16, Tailgate/Rear Door Lock Included w/Power Door Locks, Systems Monitor, SYNC 3 Communications & Entertainment System -inc: enhanced voice recognition communications and entertainment system, 6.5 LCD capacitive touchscreen in center stack w/swipe capability, AppLink, 911 Assist, Apple CarPlay, Android Auto and (2) smart charging USB ports, SYNC AppLink lets you control some of your favorite comptible mobile apps w/your voice, It is compatible w/select smartphone platforms, Commands may vary by phone and AppLink software,, Strut Front Suspension w/Coil Springs, Steel Spare Wheel, Single Stainless Steel Exhaust. * Visit Us Today *For a must-own Ford Fiesta come see us at Haggerty Ford, 330 E Roosevelt Rd, West Chicago, IL 60185. Just minutes away! KBB.com Brand Image Awards. Boasts 36 Highway MPG and 26 City MPG! This Ford Focus boasts a Regular Unleaded I-4 2.0 L/122 engine powering this Automatic transmission. MEDIUM SOFT CERAMIC, HEATED LEATHER-TRIMMED SPORT FRONT BUCKET SEATS -inc: 8-way power driver (up/down, fore/aft, tilt/recline and power lumbar), 4-way manual passenger (fore/aft, recline) and removable adjustable head restraints (4-way), Wheels: 17 Aluminum, Voice Activated Dual Zone Front Automatic Air Conditioning. *This Ford Focus Comes Equipped with These Options *Variable intermittent wipers, Valet Function, Trunk Rear Cargo Access, Trip computer, Transmission: 6-Speed PowerShift Automatic -inc: SelectShift w/thumb switch on gear shifter, Tires: P215/50R17, Systems Monitor, SYNC 3 Communications & Entertainment System -inc: enhanced voice recognition, 8 LCD capacitive touchscreen in center stack w/swipe capability, AppLink, 911 Assist, Apple CarPlay, Android Auto, 2 smart charging USB ports, Bluetooth and steering wheel controls, SYNC 3 911 Assist Emergency Sos, Strut Front Suspension w/Coil Springs. * This Ford Focus is a Superstar! *KBB.com Brand Image Awards, KBB.com 10 Most Awarded Brands. * Visit Us Today *For a must-own Ford Focus come see us at Haggerty Ford, 330 E Roosevelt Rd, West Chicago, IL 60185. Just minutes away!